You don't need a reason to brighten someone's day. 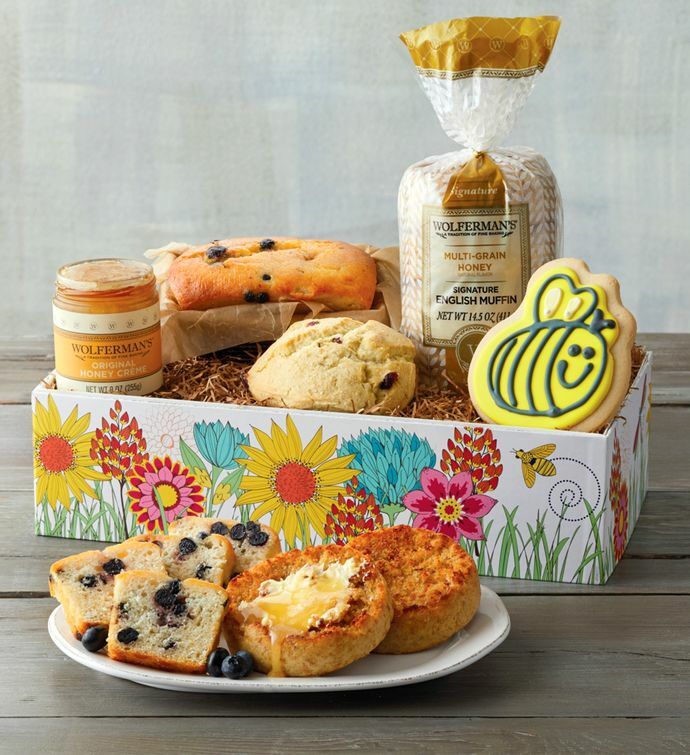 This thoughtful bakery gift arrives in a colorful floral box and includes a lemon blueberry loaf cake made in our bakery, honey crème, multi-grain honey signature English muffins, a cranberry orange scone, and a cookie decorated like a cheery bumble bee. It's a sweet surprise that's sure to make anyone smile.